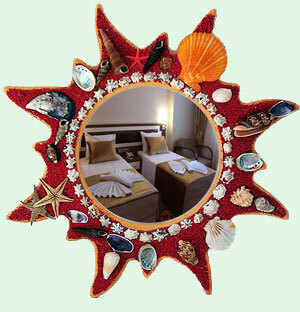 We are here to make your holiday get comfortable and meet all your expectations and desires. A 24 hour-room service, friendly staff, good quality and smiling faces are here to welcome you. Throughout your stay you will discover the cultural richness of Istanbul while indulging in the wellknown Turkish hospitality. That is our aim to include the perfect service touches in a wonderful setting that take and ordinary vacation to extraordinary memories. Grand Anatolia Hotel is a new boutique hotel, opened in 2011 at the central of the historical peninsula (Yenikapi near to seaport). There are 33 rooms. The rooms are at a graceful blend of the past and the present, designed in the Ottoman style yet offering all the modern amenities. Each room is equipped with electronic room key locks, air conditioning, minibar, safe deposit box, smoke dedector, satelite tv channel, 22 inc LCD tv, wireless internet access, direct dial telephone and bathroom with tub or overhead shower. Grand Anatolia Hotel is located with in a walking distance to all historical sights such as St. Sophia, Blue Mosque, Grand Covered Bazaar, Cistern, Topkapı Palace and many others. Due to its convenient location, it offers a great advantage for guests those who wish to explore the old city, Sultanahmet. Grand Anatolia Hotel is the new face of Yenikapi, your second house in Istanbul. Our incredibly central location is only a few steps walking distance to the hub of Istanbul's greatest Ottoman and Byzantine historical treasures including Hagia Sofia, Blue Mosque, the Byzantine Hippodrome, Topkapi Palace and the world famous Grand Bazaar. A breathe from the glamour Ottoman sultanate lodges. Renovated authentic style and modernized Ottoman decoration are embrancing an ancient house and changing it to an impressive hotel. All rooms are equipped with LCD tv, Air-conditioning, direct dial phone, smoke dedector, minibar, safety-boxes and private bathroom with shower or tube, hair dryer, evaporated mirror and phone. Copyright 2008 © Grand Anatolia Hotel. All rights reserved.